President Muhammadu Buhari has declared that members of the John Odigie-Oyegun-led National Working Committee of the All Progressives Congress, APC, are not eligible to seek reelection in the forthcoming congresses and national convention of the party. The President spoke at the National Executive Committee, NEC, meeting of the APC at the party’s national secretariat in Abuja on Monday. He pointed out that based on the provision of Section 30 (1) (3), any officer currently serving and wants to seek re-election must resign their appointments 30 days before the election. Buhari added that based on that provision, the current National Working Committee, NWC, and other officials across the states “are not eligible to run”. He, however, said if they choose to seek re-election, they may be allowed through waiver. 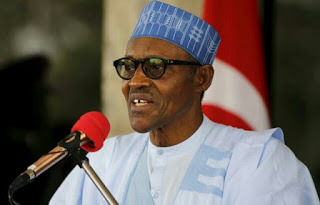 Buhari stated that if the party wishes to grant such waiver, “a statement granting the waiver should be issued by the party immediately”.